Recent works by young and/or emerging composers and sound artists from or living in Canada are featured in the 15th edition of Jeu de temps / Times Play, coordinated annually by the CEC since 2000. JTTP 2014 events included a special concert in the 21st Dias de Música Electroacústica in Seia, Portugal. Coordinated by the Canadian Electroacoustic Community (CEC) since 2000, Jeu de Temps / Times Play (JTTP) is an annual project aimed at supporting and encouraging new electroacoustic works by young and/or emerging sound artists from / living in Canada. A diverse international jury selects five prize-winning works as well as a collection of works for inclusion on the Cache compilation CD. A focus issue of eContact! features all submissions to the project, and a number of international radio broadcasts and concert performances are coordinated each year. Several past winners have gone on to win prizes in other renowned electroacoustic competitions internationally, such as Bourges, Métamorphoses and the SOCAN Foundation Awards. A total of 50 composers living in Canada, the USA and France submitted recent works to JTTP 2014. All submissions are featured on this page, where you can listen to the works while reading the programme notes and composer bios, or just sit back and enjoy the pieces — acousmatic, concept works and more! Following the official results launch on Where’s The Beat?, hosted by Eliot Handelman, several events feature selected JTTP 2014 works during the year, notably the Akousma and Dias de Música Electroacústica festivals, and several international radio broadcasts. 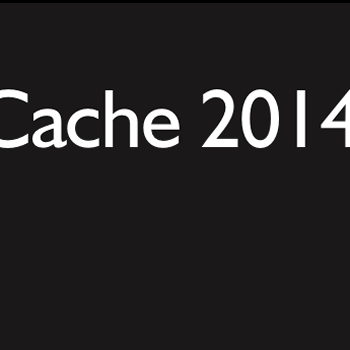 The Cache 2014 CD features over an hour’s worth of select works from this year’s edition of JTTP. The compilation offers an excellent and concentrated overview of the work of young and emerging composers from or living in Canada. Each year a broad range of individuals and institutions, in Canada as well as abroad, offer a generous amount of support that is essential to the success of JTTP. Additionally, donations form extensive prize packages given to the composers of the top 5 placing works. This year’s international jury was made up of 26 individuals having a variety of backgrounds and experiences: composers, performers, representatives from various international bodies, radio personalities, electroacoustic educators, as well as past JTTP prize winners.